Special Olympics Wyoming provides a year round program of sports training and athletic competition for children and adults with intellectual disabilities. In Wyoming, more than 1,300 athletes take part in the program that involves the services of more than 1,000 volunteers. Wyoming became involved in Special Olympics in 1972 when the first Wyoming Special Olympics Summer Games were held at Natrona County High School. The first Winter Games were held in Jackson six years later, in 1978. Special Olympics Wyoming is a not for profit corporation registered in Wyoming recognized as a tax-exempt 501(c) organization by the Internal Revenue Service. A Board of Directors provides direction, policies and oversight to a small professional staff who manage the efforts of volunteers to implement the program. Sports training and competition are offered in 15 sports. Athletes train and compete in the sport(s) of their choice on a seasonal basis. Five statewide events are held annually. The benefits to participants in Special Olympics include all those typically associated with physical activity and sports, but go beyond the traditional in developing skills that help build relationships among friends, family and the community whether on the job, in school or during leisure time. Special Olympics Wyoming just celebrated its 40th year of service to athletes in Wyoming. 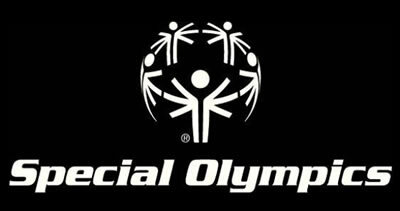 Special Olympics Wyoming operates under a long term strategic plan to drive the organization. The ultimate goal of Special Olympics Wyoming is to provide training and competition to more individuals with intellectual disabilities in Wyoming in the coming year.